So…I’m human. I may or may not have eaten approximately one billion chocolate eggs on Sunday. It’s the shiny foil, the pastel colors…the candy shells…the chocolate…the chocolate with peanut butter inside…anyway. In life, chocolate eggs happen. The trick is to accept, and move on. For me, moving on means increasing my intake of leafy green vegetables by a googolplex percent. 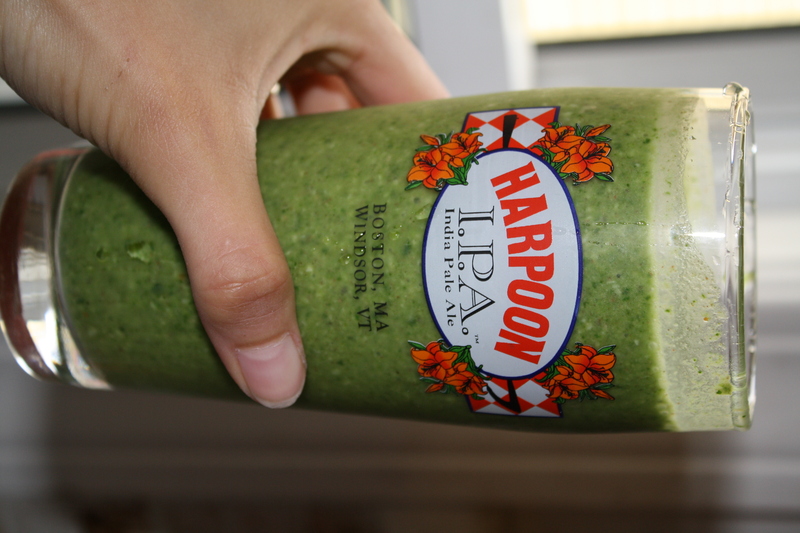 So, this morning I made a delicious kale smoothie for some effective purification of my body and mind. I always feel better physically and emotionally when I’m eating lots of green things. 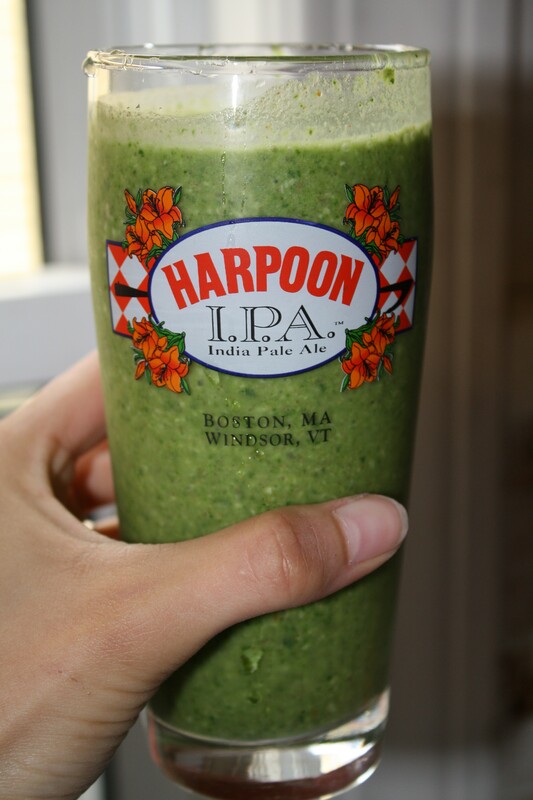 This kale smoothie was the perfect start to the rest of my life, sans chocolate eggs. There are three steps involved in making this smoothie. De-stem your kale and place in a bowl of water in the microwave for 1 minute. Steaming the kale softens it up and releases some valuable nutrients! Put the kale, banana, coconut milk, almond butter, etc in the blender with the ice on top. The ice weighs everything down so that you get a nice, smooth, smoothie. almond butter, banana, breakfast, chia seeds, chocolate, chocolate egg, coconut, coconut milk, detox, kale, smoothie, So Delicious! Thanks Brian! I think kale would be great in a PWO shake! A little protein powder…some steamed kale…yum! I had almost the same thing this morning! (I used a handful of walnuts instead of almond butter.) But it was very tasty and satisfying. 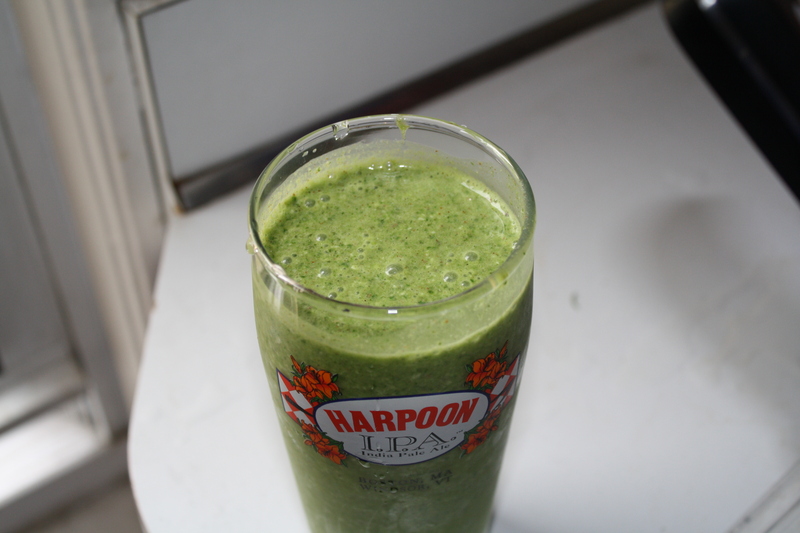 I really enjoy starting the day with a banana, kale, and So Delicious coconut milk smoothie!